LOS ANGELES - Dr. Edward N. Brandt Jr., a physician who oversaw the federal government's first response to the AIDS epidemic and who initiated requirements for tamper-proof drug packaging after highly publicized Tylenol poisonings, died Aug. 26 at his home in Oklahoma City. He was 74 and had lung cancer. It was on Dr. Brandt's watch in the Department of Health and Human Services that the United States issued its strongest reports linking smoking to cancers of the lung and other organs. He was not a smoker, however. Dr. Brandt was in Washington in March 1981 for confirmation hearings on his appointment as assistant secretary of the Department of Health and Human Services when a researcher from the Centers for Disease Control and Prevention told him about the mysterious symptoms of three young, gay men from Los Angeles. By midsummer, several other cases had been reported, and it was clear that all the men's immune systems had been severely suppressed, leading to the disease's formal name, acquired immune deficiency syndrome. Up to that period, Dr. Brandt said later, responses to disease outbreaks had been carried out by cities, states, and private organizations. The March of Dimes, for example, led the fight against polio and the development of two vaccines with little government funding. Dr. Brandt, however, thought that the federal government should be more directly involved and that AIDS was a good test case. He established a government hotline to provide information about the outbreak and appointed three prominent researchers - Dr. James Curran of the CDC and Dr. Anthony Fauci and Dr. Robert Gallo of the National Institutes of Health - to head teams searching for what causes AIDS, how it spreads, and how it might be treated. AIDS "was the first time in our nation's history that the federal government was called upon to fight an epidemic," Dr. Brandt said later. "That represented a historic change." It was not an easy battle. President Reagan was attempting to cut funding for federal health research, including the elimination of more than 700 positions at the CDC. Dr. Brandt resisted the cuts behind the scenes and quietly fought to make sure adequate money was funneled into the anti-AIDS effort. He also played a major role in obtaining funding for the CDC to build a maximum-security laboratory for research into highly pathogenic disease organisms, an effort the Reagan administration had blocked. 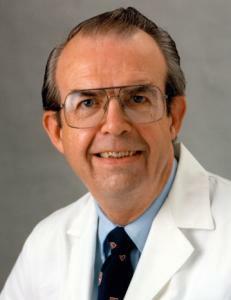 He made a serious misstep, however, in 1984, when he and Health and Human Services Secretary Margaret M. Heckler announced that Gallo had identified the human immunodeficiency virus , or HIV, which causes AIDS - leaving out the contributions of French physician Dr. Luc Montagnier, whom many contend played a bigger role in the discovery. Heckler and Dr. Brandt said at the time that an HIV vaccine would be produced within three years and commercially available within five, a prediction that now seems wildly optimistic because an effective vaccine still has not been found. In addition to his role in battling the AIDS epidemic, Dr. Brandt encouraged the development of tamper-proof packaging after the deaths of seven Chicago residents who had taken Tylenol capsules filled with cyanide and placed back on store shelves. Dr. Brandt sympathized with the public's response to the difficult-to-open bottles. "I have a hard time with those things, too," he said, "but the concept is so well accepted that people would be surprised now to get a product off the shelf that's not tamper-proof." Dr. Brandt also promoted research on women's health and supported bringing more women into the federal scientific establishment, a role that led Dr. Vivian Pinn of the NIH's Office of Research on Women's Health to call him "the godfather of women's health." Dr. Brandt leaves his wife of 54 years, Patricia (Lawson); three sons, Patrick J. and Edward III of Dallas and Rex C. of Clinton, Iowa; his father, Edward Sr.; his stepmother, Patricia; a sister, Jennifer Wessel of Dallas; a brother, Carlin of Austin, Texas; and seven grandchildren.